For those who prefer to eat gluten-free, you are welcome to use quinoa flakes, gluten-free oats or a combo of chia seeds and flaxseed instead of the oats. Soak the oats in the water or milk overnight. Make sure they are completely covered. In a bowl, combine the oats with the orange zest, juice, almonds, coconut, pear, yoghurt, cinnamon and cardamom – the texture should be thick but smooth. 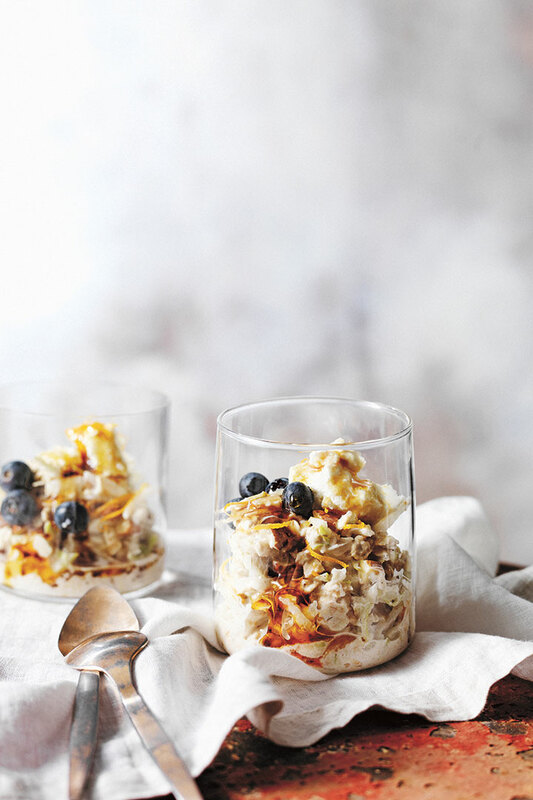 To serve, drizzle with maple syrup or honey and top with ricotta, blueberries or torn fresh dates. Sprinkle with a little extra cinnamon, if desired. Living the Healthy Life by Jessica Sepel is out Thursday (6th April), published by Bluebird, £16.99. Images by Rob Palmer.